Well it certainly has been a long time since I posted anything﻿. Since the chaos of the holidays I have been busy with work finishing the end of the semester and crazy preparing for a new semester with new students and new classes. 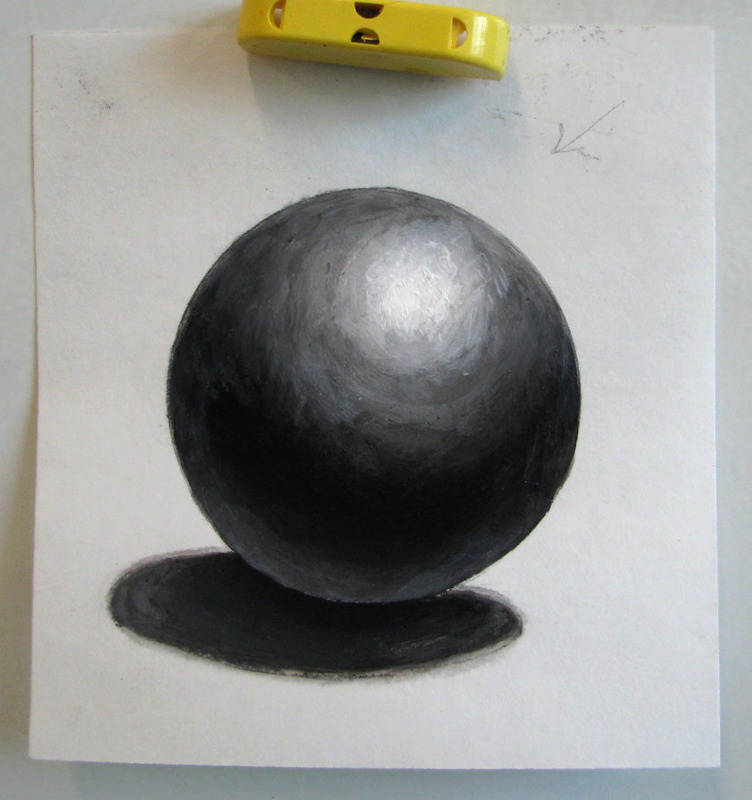 This one pitiful sphere (an example for my students) is the only artwork I have made in weeks! Needless to say I am going a little stir crazy. But I am knitting again in the evenings so that has definitely helped. I should be done with another baby hat soon. P.S Sorry if I sound a little bossy! After years of wanting a place to create, Dan bought me a drafting table in 2007 to work out of the house. Only problem...it didn't fit thru my doorways or up or down our stairs! After a week of,"what shall we do". Dan cleared out a closet, taking down walls and locating me in the laundryroom. It has been ideal. A glass door for light, big sink for washing brushes, and my drawing table which also makes a great place for folding clothes. Go for it a syudio space fits anywhere!!! Thanks Kerri! And I take your comments as a great pep talk to get me going instead of hemming and hawing about it! As for the pseudo studio space...I'll be getting a large glass table top soon but I need to get a base for it. I've asked the wood shop students at my school to make me one so it might be awhile. Plus this table would be going in the kids playroom. Not exactly the quiet, contemplative space I'd prefer but I'll take it!